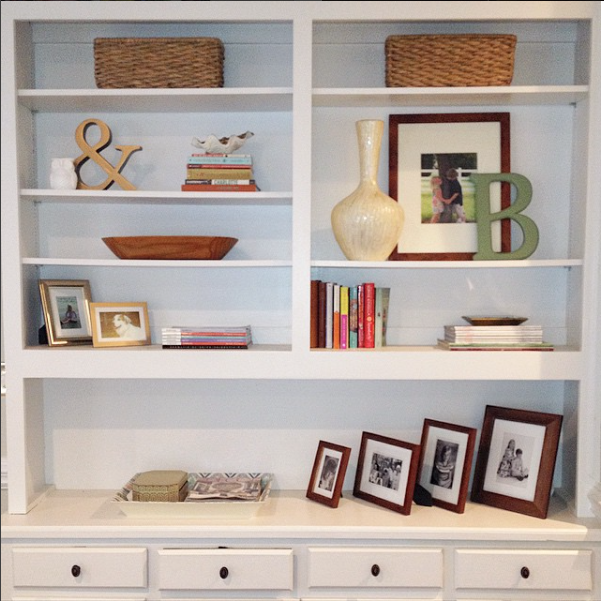 The Collected Interior: Drab to Fab Thursday! It's Drab to Fab Thursday! 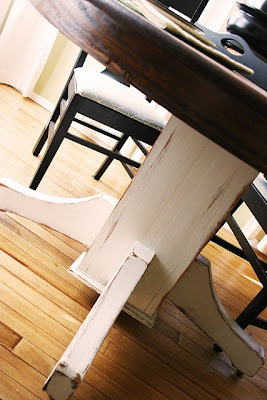 Yup, this day's pretty self explanatory...I'll feature one fabulous furniture revamp, and then we all can swoon! 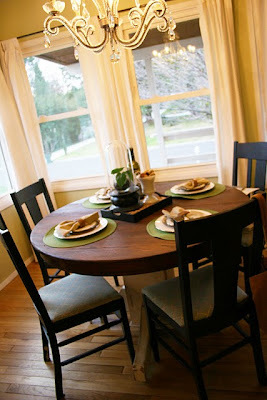 Today I'm featuring Karli from Rocky Bella for her stunning table revamp. 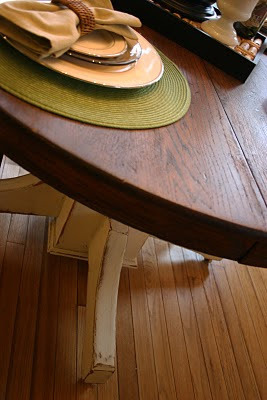 Karli started with a table that was dated, orange in color and well...oaky! And be still my heart...here's the after! One word here folks - PERFECT! 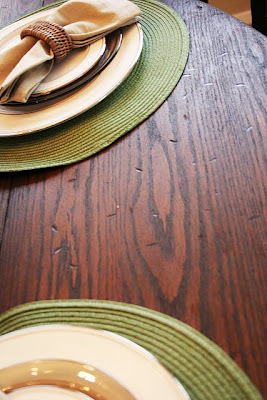 She and her hubby sanded the top to remove the poly, and then stained the wood two colors of dark brown to achieve this rich, deep color. 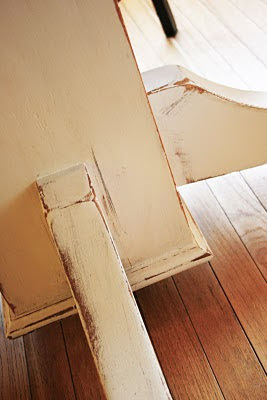 Oh but we can't forget the most fun part...distressing! Karli took a large chain and, let's just say she got all her aggression out and felt much better afterwards! After she stained the top, Karli used a Satin wipe-on Poly to the entire top. Then painted the base her favorite creamy color, and then distressed the edges with sand paper. I'm swooning as I write! Ahhh...more distressing here, I think I'm in love! Here it is finished with her fabulous hutch in the background. And here's one last look...Wow! 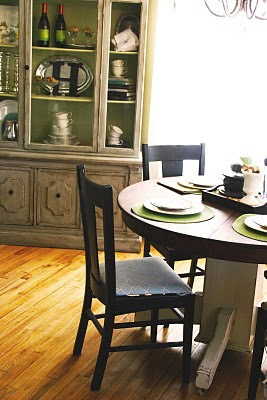 This table went from drab to fab...and even more if that's possible! 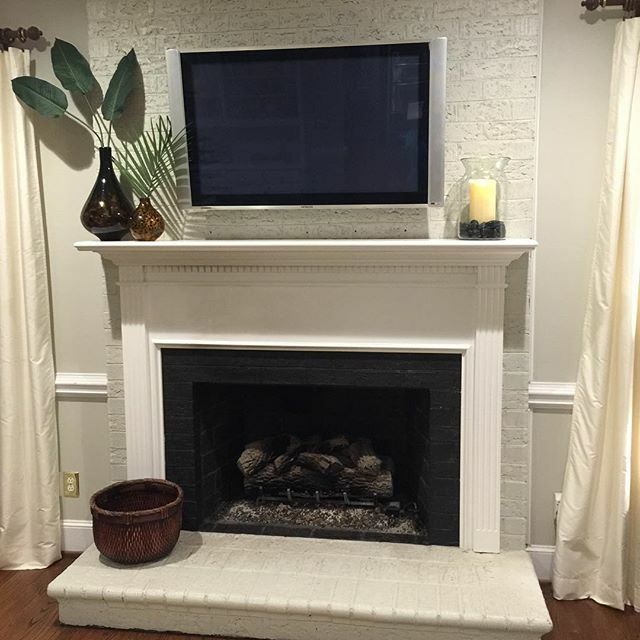 Amazing, Karli took this dated piece and brought it back to life with style and function. And spent less than $20 because the table was free to begin with! Go check out Karli at Rocky Bella for more fabulous ideas and inspirations. 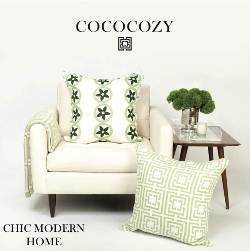 She's got a fun wish list, and even more fabulous projects including a damask chair revamp that is to die for! And a quick reminder...Frugalicious Friday is on for tomorrow people and we've got a Giveaway too! 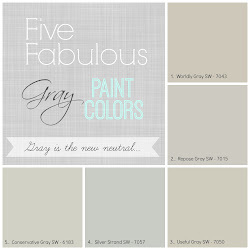 So link up and share your fabulous "drab to fab" revamps. And don't forget your fab finds and crafts too...we want to see how you $ave! Oh that is JUST gorgeous now! And I'll just bet the distressing part was a LOT of fun! Great job! That looks gorgeous! I love the dark top and light base! I love it. The base looks so cool white with the stained top. Great job, Karli! Jane, I love your new blog look! I loved the old one, too. Classy, current and fabulous! Thanks for all you share with us! I love her blog! The table looks so fresh and new, and the chandy above is nothing to plat w/ either. Love it! Oh my gosh!! It is beautiful. She did an excellent job!!!!! Wow! I mean....wow! That is amazing! I want one! WOW! Thank you sooo much. I feel famous. =) haha. I didn't realize so many people would love it. You made my day!!! I absolutely love this!! I have been wanting to something with my table. 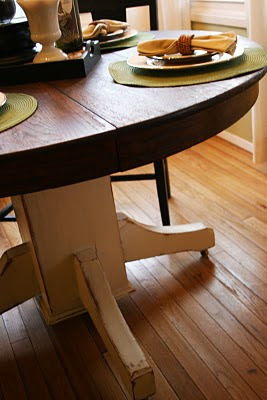 I have been telling my husband and son-in-law that I want to paint the bottom part of my oak table and they both said that was a "dumb" idea to paint a nice oak table. Now I have something beautiful to show them! Wish me luck!! What color did you use for the base? What a great new look! Her table and YOUR blogover! Love that look! Great execution! I LOVE this! I'm heading over to her blog right now...what an amazing transformation! Hello! 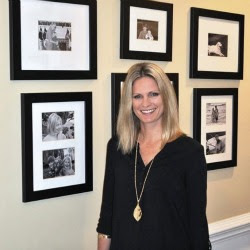 I found your blog through Friday Follow- and I'm so glad I did! Hope lot's of new people find you as well! I'm your newest follower- I'd love if you'd come check out my blog! wow. love this. 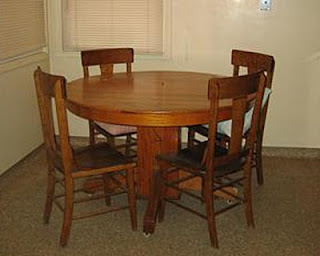 I have a similar table, claw foot, that the finish is wearing, it is way to country and oak for my house and my taste. Been looking for ideas to revamp.